WRITING FABLES. I was browsing cliparts for half a day and I got a lot of inspiration from them. 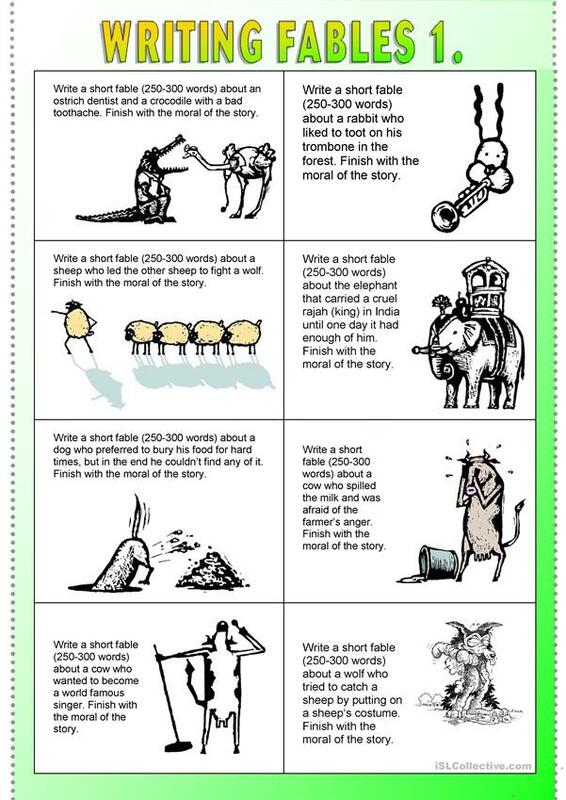 I hope youÂ´ll like the story prompts I invented for writing fables. They could also be used for acting out scenes in class, after groups have rehearsed their dialogs. This printable, downloadable handout is recommended for high school students and elementary school students at Pre-intermediate (A2) and Intermediate (B1) level. It is excellent for developing your class' Speaking and Writing skills. There is a key provided with the exercises.